CHARLESTON, SC (WCSC) - The Red Cross says there is an urgent need for blood, and so Live 5 and the Red Cross are sponsoring a blood drive on Thursday. You can donate blood from 8 a.m. until 8 p.m. at Citadel Mall. The Red Cross says because of the bitter cold and severe weather during the first few weeks of 2018, nearly six hundred blood drives were forced to cancel, causing a shortage of about 17,500 blood and platelet donations. The Red Cross also says in addition to the bad weather, the Flu has also contributed to a very low turnout at many blood drives. If you can help out, the Red Cross says you can save about 15 minutes by answering questions online at www.redcrossblood.org/rapidpass. Eligible donors with blood types O, B Negative or A Negative are encouraged to make a Power Red donation. Power Red donors give a concentrated dose of red blood cells during a single donation, allowing them to maximize their impact. 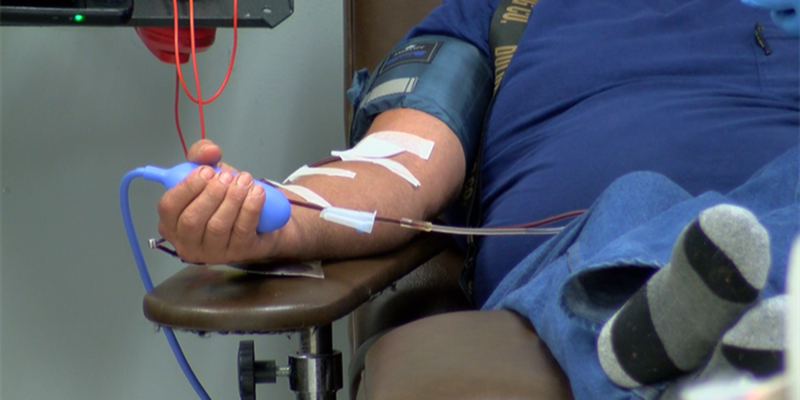 The Red Cross says during this kind of donation, red blood cells are separated from other blood components, and the plasma and platelets are safely and comfortably returned to the donor. To schedule your donation appointment, go to www.redcrossblood.org and use the Sponsor code Live5, or call 843-852-2927.